We’re everywhere. 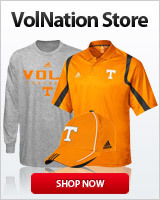 So what’s the craziest place you’ve gotten a “Go Vols” while wearing orange? Mine has to be in Munich, Germany during Oktoberfest. Punta Cana drunk on a beach. Had a free day on a business trip to Hong Kong. Walked around wearing around my UT hat. Met a local who had done his undergrad at UT and a Marine from Roane County who was visiting on leave. Edinburgh Scotland, Diego Garcia, British Indian Ocean Territories and Crete Greece. Also at the Worlds highest elevation donut-making shop which is on the Summit of Pikes Peak …. twice. Those donuts are incredible. At a "house of ill repute" in Pattaya, Thailand in the mid-nineties. 2003, In an Asian bakery in Kuai, Hawaii. Owner saw my hat, gave me a Go Vols!, then gave me free cookies. We talked Vol Football for while, he really knew his stuff. Took this picture Saturday morning on the national news. Cruise ship in Jamaica. Karaoke bar...my son gave shout out "Go Vols" before singing, and two guys came up to us talking about upcoming season, and how "life after Dobbs" with Dormady was going to shine as starter under the guidance of Larry Scott. Little did we know...well, maybe we kinda did, but just didn't want to admit. A like for the Roane County reference. I don’t know if it qualifies as “crazy” per se, but I was walking back from the gym in Billings, Montana, where I currently live, on the day that we beat Kentucky at home in basketball this season. The temperature was hovering around zero, with a wind chill of roughly -10 to -15. A guy rolled down his window long enough to yell, “Go Vols,” as he passed me on the snow-covered road. Niteroi Brazil and upstate New York. John’s Pizzera on Times Square. San Q'uirco Dorca in Italy about 12 years ago. Salt Lake City in 1985 with a talk about our upcoming chances against Miami in the Sugar Bowl. Mine was in a tiny coffee shop in Malta. US Embassy, Riyadh, Kingdom of Saudi Arabia, picking up a Christmas tree ornament there for my forbidden tree in my little apartment on the economy, 1998.